View our most recent media and press releases below. For inquiries, please contact play@playerssports.net. Check out 16 Inch Hall of Fame inductee, Larry "Legend" Downes, play a game in our Tuesday Night men's 16 Inch league at DePaul! 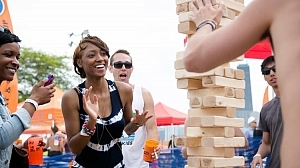 The inaugural Rum Fest at the Harbor was featured in several media outlets leading up to the event. Check them out below! 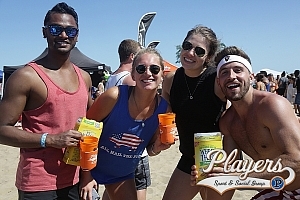 The 2018 Beach Slap was featured in several media outlets leading up to the event. Check them out below! Check out our softball players playing with Ana Belaval as well as an interview with Dave Reid, VP of Sports & Business, on WGN's Around Town! Check out Director of Events & Sponsorship, Ike Murov, on WGN TV discussing Chicago Tequila & Sangria Fest! Watch the full segment here. 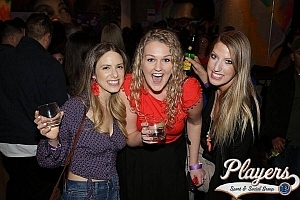 Chicago Tequila & Sangria Fest made The Local Tourist's "10 things to do in Chicago this weekend" section. Read the article here. 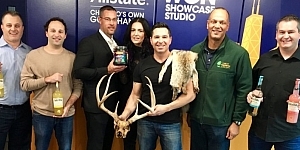 Check out Director of Events & Sponsorship, Ike Murov, on WGN radio discussing Chicago Whiskey & Wine Fest! Listen to the segment here. Check out our dodgeball, volleyball and basketball players playing with Ana Belaval on WGN's Around Town! 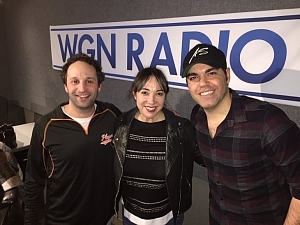 Check out Director of Events & Sponsorship, Ike Murov, on WGN radio discussing Chicago Tequila & Sangria Fest! Listen to the segment here. 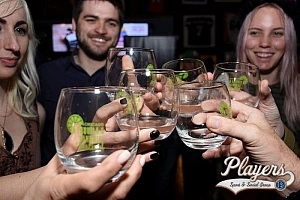 The Chicago Tribune did a recap of our sold out Boos & Booze Halloween Party complete with an awesome photo gallery. Check it out here! Check out Kaitie on The Jam, WCIU's morning show, discussing 16 Inch Softball Leagues. Check us out on ABC Chicago highlighting The Big Dig with some cool aerial shots included! The 9th Annual Big Dig was featured in several media outlets leading up to the event. Check them out below! Check out our fearless leader talk Chicago Rec Sports on the Tasty Trade Webcast! Beach Slap made RedEye's "5 things to do in Chicago this weekend" section. Read the article here. Check us out at North Avenue Beach! Check out Kaitie on the CBS Chicago This Morning show previewing Chicago Tequila & Sangria Fest.